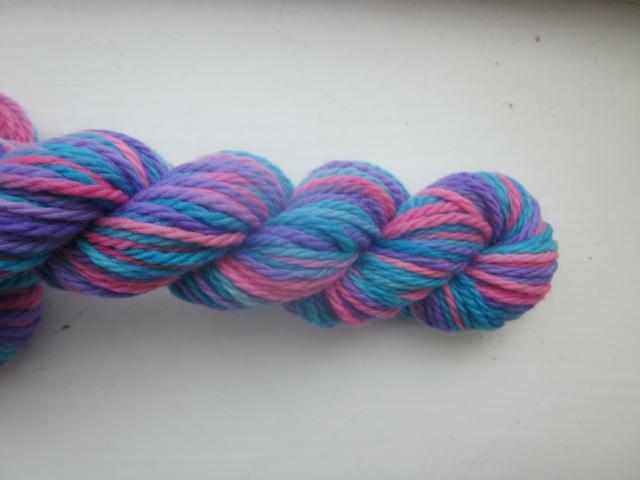 Dyed in Disco colourway-bright purple, pink and turquoise. Aran weight so perfect for knitting into a soaker. I can dye 50g of matching trim in any colour for £3.50 extra. Or I can knit this up for you, contact me for details.